Have the good folk of Thorpe voted for a surrogate Lib Dem? Is there a new political alliance in Southend? For the second time this week Cllrs Woodley and Longley are hand in glove- first it’s members expenses, now it’s bus passes. It begs the question- have the Independents, who so strongly proclaimed that they were not politically linked, formed an Alliance with the LibDems. From passing notes at scrutiny between each other to now issuing joint press releases twice in one week! 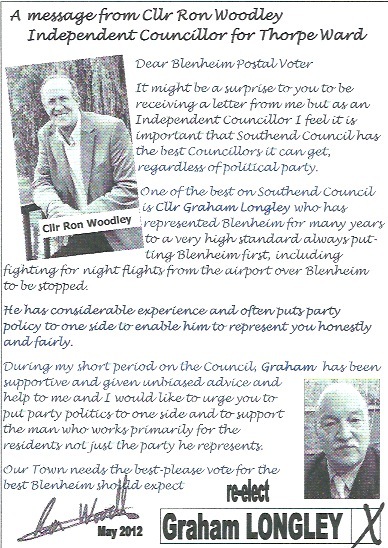 Does Cllr Woodley perhaps dream that following the local elections he will be part of a LibDem- Independent Alliance cabinet? Dream on…….